« Stephenville UFO sighting- still more surprises-but not nice ones? What to do, if you see a UFO? If you believe you have seen a ufo, try and do a sketch of what you saw, at the first opportunity. Also write down/even put it on video/ect all the details you can remember about this sighting. Probably the most important thing here (apart from a sketch/video/photo) is the date, time of the event, and the exact location…. so you do not then forget at a later date. If you have a camera, it might be an idea to take photos of after the event, and a daylight photo as well (if it happened at night). Try and eliminate any IFO’s (identified Flying Objects) from the equation, before you carry on; Then send this information to a resource which can handle this well… I would suggest MUFON as the first best source, but there are others (maybe your local UFO group) … many on the website, now have online forms you can fill in, to simplify the process. Some people also call the police, airports, ect (but it is only recommended if you are sure it is not an IFO). They usually have limited time, and you probably will not get much out of this anyway. If in the UK, you can log the sighting on the MOD site database, but that will probably be all that will happen. Still probably worth it, to see if anyone else saw the same thing, and for statistics. 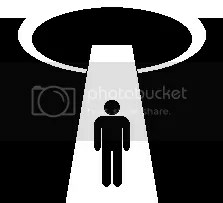 Some other places that welcome reports are: ufo casebook , HBCC . This is only a rough guide, but i hope this gives you an outline of useful tips if you see anything that you question. Remenber though, alot of the time many of these sightings are indeed IFO’s and nothing more…. This entry was posted on February 11, 2008 at 6:11 pm	and is filed under are we alone?, astronomy, IFO, out of this world, science, Space, the universe, ufo, ufo's. You can follow any responses to this entry through the RSS 2.0 feed. You can leave a response, or trackback from your own site. I recommned that the police, Fire and any other so-called “authorities” NOT be contacted – at least until some of the artifacts are confiscated to protect the evidence that something actually happened. Choosing to contact police, fire, or local news stations is the first step to hiding the event from the American public. Only an idiot would contact the above mentioned entities before photographing, video taping and collecting some of the evidence to prove the event happened.